Samsung Galaxy S3 was released three years ago, but that doesn’t mean that this smartphone is not still a good device that you can use for your daily stuff. If you own a Galaxy S3 device, then you’ve come to the right place, because we’re going to give you some tips and tricks that you can use on this handset. Everyone has a few friends that are sending text messages or making calls in the middle of the night. However, the Galaxy S3 comes with a Blocking Mode that can be switch on or off whenever you want. You can choose what the Blocking Mode feature can block: incoming calls, notifications, alarms, timers, LED indicators and many more. Even if this is not the most secure way to lock your smartphone, we agree that it’s quite cool. To enable this feature, you will need to go to the Galaxy S3’s Settings->Lock Screen->Screen Lock. Once you tap on the Screen Lock, you will notice that you can select a list of ways to unlock your phone. Keep the device at your eye level in order to fit your head within the square from the screen, so that your device will recognize you by your face. Keep in mind that the device might be unlocked by anyone who looks almost like you, as this service is not so accurate. If you are new to Android devices and you’ve just bought the Samsung Galaxy S3, then you should know that you can enable the easier user interface. To do this, go to your device’s Settings->Device->Home Screen Mode and choose “Easy Mode”. Keep in mind that you can always switch back to the more “sophisticated” Home Screen by going to the same location. If you’ve just recorded a short video and you want to cut it a little bit, you can do this right away from the video editor without having to use an external application. Just start playing the video that you want to edit, tap on the menu button and select “Trim”. If your Galaxy S3 is stolen or if you lose it, then you should try to delete the data that’s inside it. However, you will need to have signed up for your Samsung account and set a password to it. The feature is called “Find My Mobile” and can be used to locate the device, make it ring, lock it, wipe data from it, forward calls and messages, see call logs or get the GPS location and keep track of its movement over 15-minutes intervals for the next 12 hours. There are a lot of users who have reported that there are some serious Wi-Fi connection problems on the Galaxy S3 device. However, this can be fixed by going to the device’s Settings->Connections->Wi-Fi, tap on the menu, select “Advanced”, switch “Keep Wi-Fi during sleep” to “Always” and uncheck “Auto connect”. If you notice that your Galaxy S3 is not performing as well as it did when you’ve purchased it, then you should consider performing a factory reset on it. However, before you do this, make sure that you backup all your pictures, apps, data, files etc. so that you can restore them back after you wipe everything on your Galaxy S3. There are a lot of users who prefer to use the Voice feature when controlling a mobile device. The S-Voice feature that the Galaxy S3 comes with can be used to give control to your device. 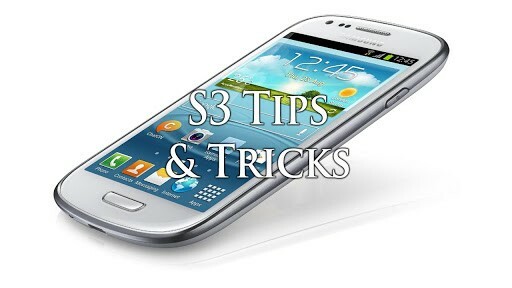 By double tapping the Home button, the Galaxy S3 will bring the S-Voice feature and by saying “What can I say”, you will be able to see all the commands that are compatible with this feature. You can ask the device to check the weather, start/stop music, dictate text messages and many more. Custom ringtones are great when you want to know when a particular person is calling. However, there are times when you prefer to keep your device in silent mode. Well, you can still know when a particular person is calling you while the device is in silent mode by using a custom vibration for a particular person. We agree that the Galaxy S3 device is outdated, but there are still many features that this great device comes with. Even if over three years have passed since this device has been released, there are still persons who have just purchased it. If you don’t have an Android device yet, we suggest you to take a look at the Galaxy S3 and if you like it, purchase it. The device is not so expensive and it surely comes with many features that you will enjoy using. 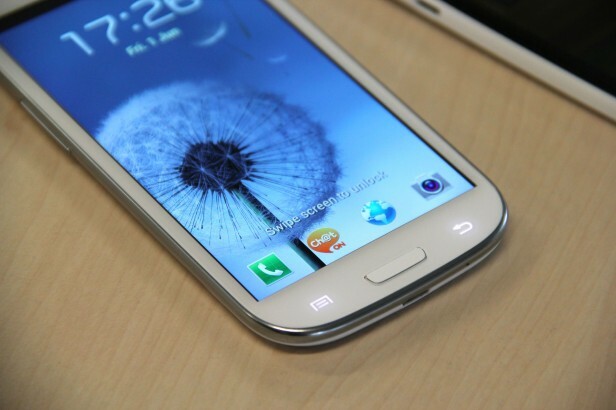 Tell us your thoughts about the Galaxy S3 device!